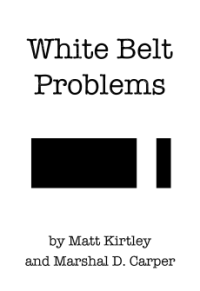 I have been a white belt for approx. 6 months mainly training in the Gi but do attend 1 NoGi class per week when possible. Unfortunately I work away from home and spend near enough 8 months away over the course of the year in places where there is no BJJ, when I am home I have a wife and 3 kids to share my life with and try to fit BJJ somewhere in there. I don’t want to quit but my only option is another school that trains predominantly No Gias the class times fit in better with my home life…………..is it right to steer away from the Gi as I understand the fundamentals stem from training in the Gi??? ?